Yesterday, NVIDIA made a very big announcement that some weren't expecting for another 12 months. 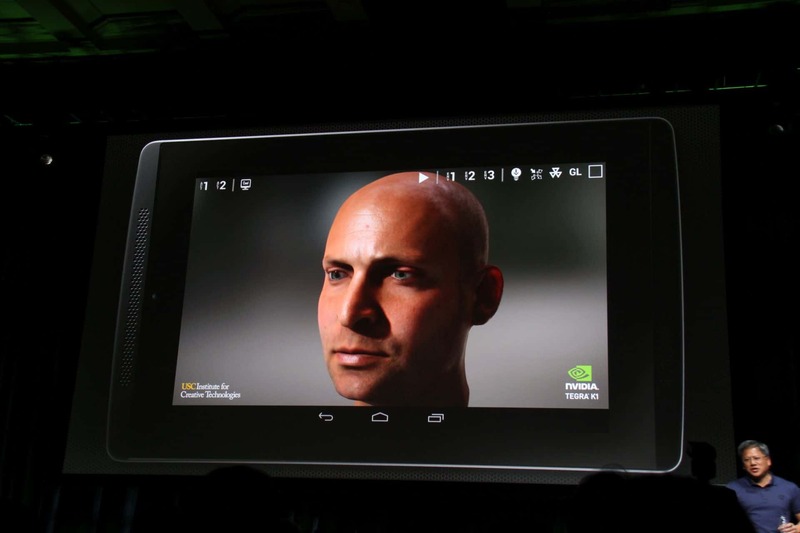 Battling a bit of illness, NVIDIA CEO Jen-Hsun Huang revealed to us the new Tegra K1 platform. This ARM-based SoC includes 192 Kepler-based CUDA cores while sharing a GPU architecture with the current GeForce GTX 700 series video cards. This new part is to, as Jen-Hsun put it, "bring the heart of GeForce and the soul of Tesla" to the mobile market. NVIDIA will be shipping a version of the Tegra K1 with the same quad-core A15 design as the Tegra 4, but as an added surprise Jen-Hsun also announced that they will be shipping a version with a dual core NVIDIA Denver CPU. For those that aren't aware this CPU project is 4 years in the making and is based on the ARMv8 architecture, meaning NVIDIA will now have an ARM part with full 64-bit support. This makes the part more compelling for developers as they'll be able to port their software from PC, to console, to mobile with very little turn around time, giving them the ability to reach more users. As for gamers, through the many tech demos on display NVIDIA's goal with this part is clear; they want to finally realize the photorealistic graphics that they've been striving for through all previous generations. Along with the announcement of the new part, they also revealed that Epic Games has made the new Unreal Engine 4 fully compatible with K1, and they had it up and running as you can see from the video below. The demos on hand were actually quite stunning, and I was surprised at the ammount of attention paid to lighting and physical detail by the new GPU. The new chip will have full HDR, dynamic lighting, and physics support on chip. This makes the K1 far and away more powerful than the Apple A7, and from some of the demos shown you'll soon be able to play some truly amazing and immersive games on your Android device. Although this is more mobile related news, it was cool nonetheless. The Futurelooks Team will be talking to NVIDIA later this week to see what they have coming up for PC gamers.